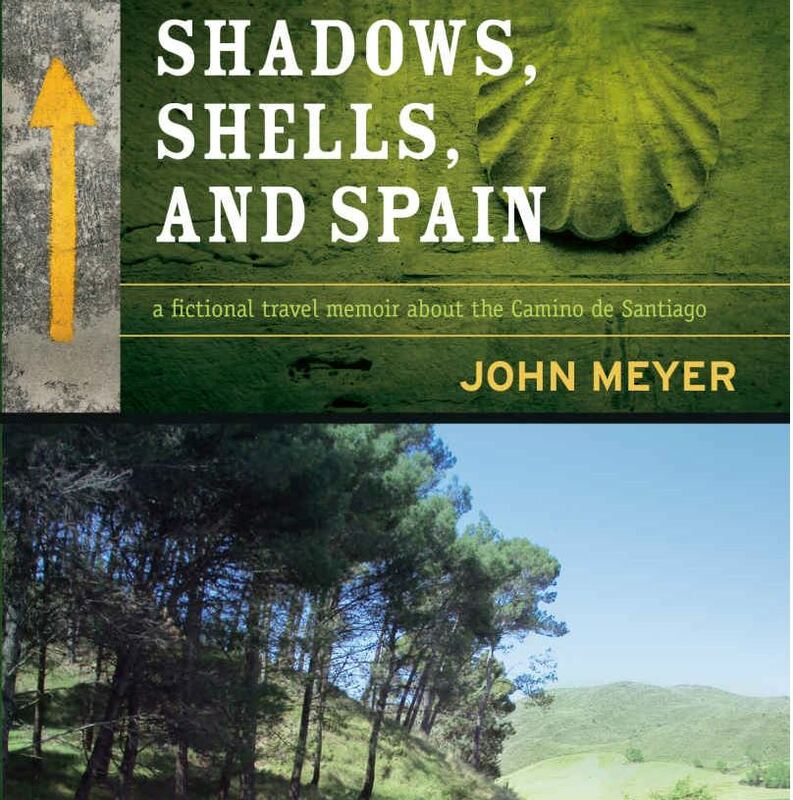 Shadows, Shells and Spain: a fictional travel memoir about the Camino de Santiago by John Meyer. Toronto: Summer Nomad Publications, 2017. John Meyer’s latest book is a mixture of genres that uses the Camino de Santiago as a vehicle to carry the story. It is part Camino, part history and part mystery/romance. And although it is not a guide to the Camino Francés, there are plenty of pilgrim truths, and much historical information integrated into the telling of the story of our hapless hero Jamie, from Toronto, searching for his young wife, Pam, who suddenly left their home in Toronto with no explanation. Eventually he finds that she is walking the Camino de Santiago, so he heads off to find her, following the cryptic messages she has left for him. For those who have walked the Camino, a message received in Pamplona which reads “Dig under the second donkey” makes perfect sense, but for poor Jamie, it really is a mysterious task. Soon he is able to make more sense of this particular treasure hunt which will take him all the way to Santiago, and on the way, we meet a cast of characters which is very much true to form. The mix of descriptions of albergues, pilgrims, food and feet, are so much a part of the Camino and the story of Pam, whom we only know through her notes left along the Way, becomes a ghost of a character juxtaposed with bubbly Brie, Jamie’s real life Camino companion. The historical information presented in each chapter is refreshing in style and presents some information that was new to this reader and therefore, all the more interesting. For those who have walked the Francés route, this book will revive memories and refresh some of the history that one has walked through. For those planning on walking, this book serves as a guide to “life on the Camino”, blisters and all. A very enjoyable read.